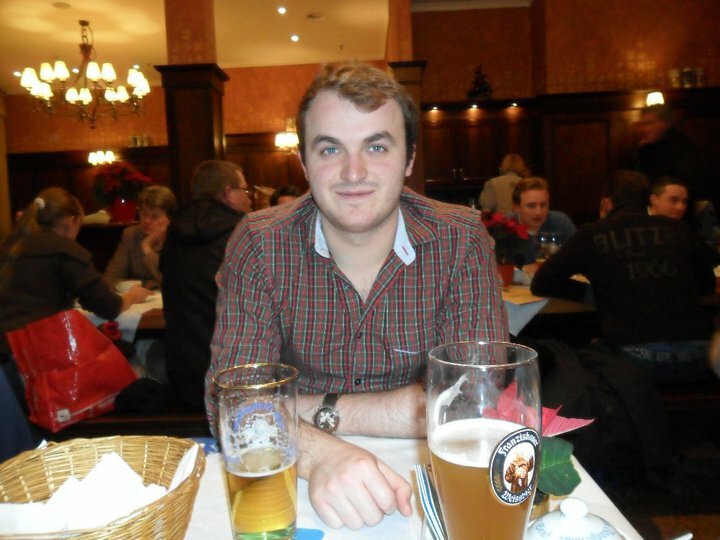 Hankey Bannister, reviewed by our right royle student and guest blogger: Graeme Gardiner. 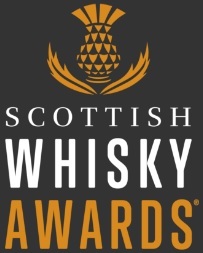 So while Chris and Lucas are recovering from their big Birthday bash, I have been ushered in to make sure their Whisky Blog is still being represented by someone (depending on how long the hangover lasts, there could be other guest writers . Chris). A hardship I know, but someone has to do it! OK so my name is Graeme and it is safe to say that when Chris was looking for someone to take some samples off his hands, I jumped at the chance. Being a hardup whisky loving student, you have to take every opportunity. So free samples in tow, I returned to my HQ and adopted suitable attire for anybody living in Edinburgh student flats at this time of year: layers upon layers of clothes topped off with a nice big dressing gown. Now that I am sitting in front of my laptop, robed like a cut-price king, whisky in hand, I feel kind of classy, older and maybe even regal. 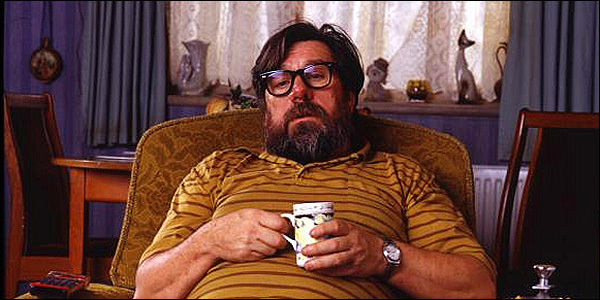 Probably more Jim ‘My arse’ Royle (see below) than Royal family, but definitely some sense of class befitting the old gem Chris has asked me to review, Hankey Bannister. 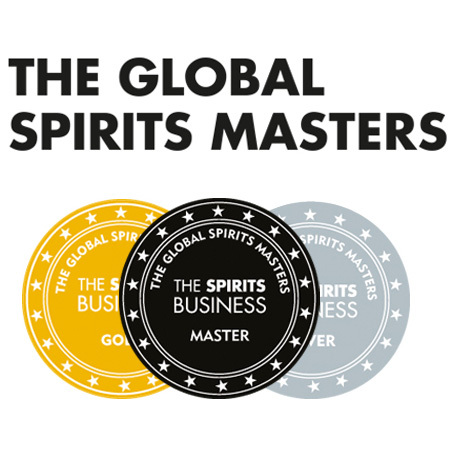 I have worked with Whisky for about two years now, with Chris and Lucas at the Scotch Whisky Experience before they left, and yet Hankey Bannister is one name I do not come across often. That’s not to say I have never seen it and I do get the occasional enquiry for it from time to time. So what do I know about it? 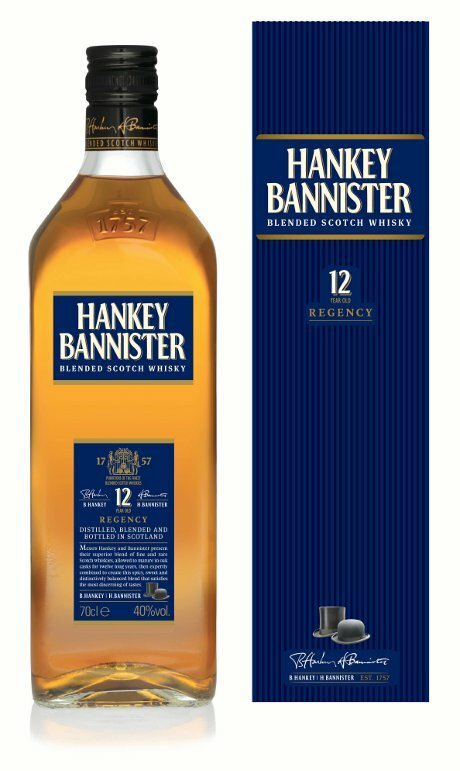 Hankey Bannister mostly remains a mystery to me, but this is what I managed to discover; it was first produced in 1757 by Beaumont Hankey and Hugh Bannister for their London based wine and spirit store. Their aim was to create a high quality spirit for the London social circles and they did not fail. Their empire grew and notable names such as George V and Winston Churchill are alleged to have been big fans of the brand. 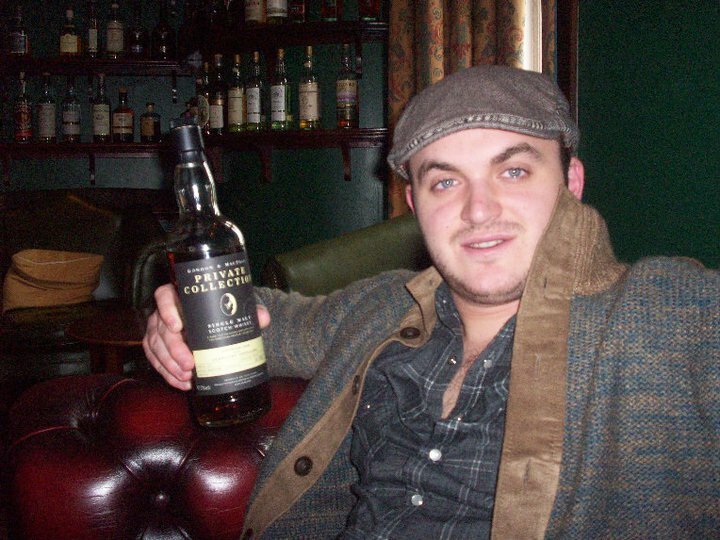 These days it is the flagship blend of Inverhouse and looked after by master blender Stuart Harvey. It is exported to over 40 countries worldwide and has a big presence in the European, Australian and Latin American markets. Nose: A light fresh floral aroma, hints of heather and grass notes and maybe a touch of honey to round it off. Palate: Very, very smooth and easy drinking , long sweet toffee notes that combine with a gentle spicy edge to keep me intrigued. Overall: A surprisingly excellent standard entry, I am more of a strong flavoured Whisky man generally but the fresh sweetness leaves an extremely pleasant feeling in my mouth. Nose: A little disappointing after the Original. Definitely a little bit richer with slight hints of an oaky spice which also adds a small amount of sweet vanilla, nut not much of the vibrant freshness seen before. Palate: Despite having a lower ABV than the original this feels a lot sharper. More strength than the nose has, with the rich and spicy honey notes combining with a light marzipan body. Kind of like a half strength fruitcake, or malt loaf. Finish: Again a nice lingering finish, a soft caramel feel. Overall: After the royal success of the first dram this was a little disappointing. Not a bad Whisky, easy to drink but nothing that makes the Regency stand out in it’s title. Nose: Now that’s more like it!! A quiet assault on the nose like stealth ninjas who know exactly where to strike and how to do it. Not to rich and overpowering like some aged whiskies I have tried before. A gentle approach with layers of mandarin, raisins and a kind of spicy/peppery/chocolate hybrid that puts terry’s chocolate orange to shame! Palate: Thankfully does not disappoint on the palate. The vibrancy from the original is carried through to create a full flavoured, creamy richness that is almost melt in the mouth. Again lots fresh spicy fruit like raisins, a hint of zest mixing with a creamy chocolate fudge. Finish: Like the other two, long and lingering. Not as full flavoured as I would have liked, but a sweet citrus edge to keep me asking Chris if there is any more in his whisky stash. Overall: A classic dram, fit to represent the culmination of this regally approved brand. 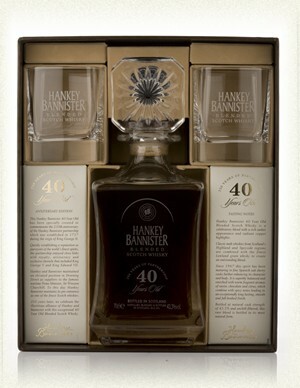 So all in all an impressive range of whisky from Hankey Bannister. Out side of the excellence of the 40 year old, the Original is more than a match for any equivalent blended whiskies in the market today. It is a shame that we do not see more of it in this country as, not only does it taste fantastic, it is a relatively cheap way to experience some of the royal things in life. This entry was posted	on Friday, January 21st, 2011 at 12:59 pm	and is filed under Reviews. You can follow any responses to this entry through the RSS 2.0 feed. Responses are currently closed, but you can trackback from your own site.